The GST Council relaxed tax exemption limit to Rs 40 lakh from the earlier cap of Rs 20 lakh during its 32nd meeting on Thursday. The all-powerful panel also decided to extend the composition scheme to traders from informal sector rendering services or mixed supplies with a turnover up to Rs 50 lakh. The exemption limit for small states has also been increased to Rs 20 lakh from Rs 10 lakh. 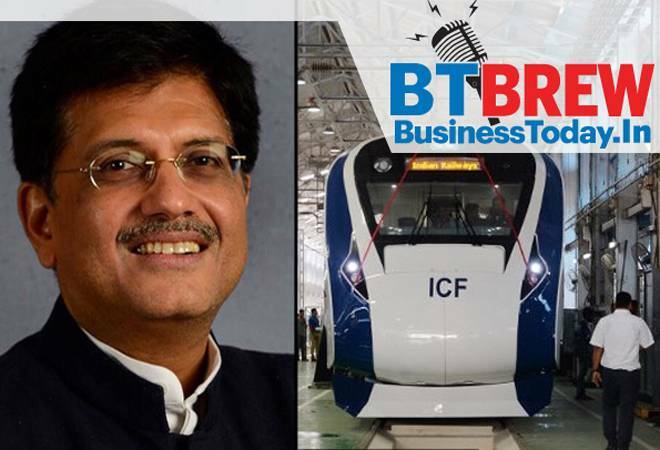 Prime Minister Narendra Modi will soon flag off Train 18, the country's fastest train, on the Delhi-Varanasi route, Union Minister Piyush Goyal said Thursday. Goyal said Train 18's run-time would be eight hours, about one-and-a-half times faster than the fastest train on the route. Jaguar Land Rover will axe around 4,500 jobs, the Indian-owned carmaker announced yesterday, with the group hit by a slump in Chinese sales and fears about Britain's competitiveness after Brexit. This is in addition to the 1,500 who left the company during 2018. Markets regulator Sebi Thursday put in place a robust and stricter cybersecurity framework for mutual funds and asset management companies (AMCs) to guard against breaches of data leak. The new norms would be effective from April 1, 2019, Securities and Exchange Board of India (Sebi) said in a circular. US President Donald Trump on Thursday said he will skip the annual meeting of the World Economic Forum (WEF) at Davos in Switzerland if the ongoing partial shutdown of the government continues. The partial shutdown caused by the row over Trump's demand for a US-Mexico border has brought the functioning of several wings of the federal government, including the State Department, to a stand still. The Department of Industrial Policy and Promotion (DIPP) has sought views of various stakeholders on its draft methodology to rank states and union territories this year on the basis of measures being taken by them to promote startups. In the last ranking announced in December 2018, Gujarat has emerged as the best performer in developing startup ecosystem for budding entrepreneurs.